After California’s statehood in 1850 downtown San Diego was born. The area had an insular existence at first but it came to life after developer Alonzo E. Horton crafted the towns’ nucleus near the harbor. From this waterfront purchase sprang industries, shipping, railroad commerce, defense facilities, a large tuna fleet, and orange groves. With the economic strengths the military, agricultural and commercial industries provided, this area flourished. Its central location allows easy access to such tourist attractions as Horton Plaza, major chain stores, and movie theatres. 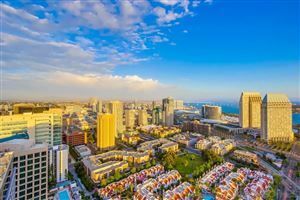 Sea World, an aquatic waterpark, is nearby as is Balboa Park, with its cultural and historical collections of museums and exhibit halls; and the San Diego Zoo, one of the largest in the world. 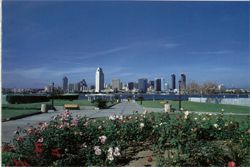 In recent years Seaport Village and a host of resort hotels and residential and senior housing units have been built. In addition, the area features the convention center, which was the site of the 1996 National Republican Convention. Neighboring communities include Old Town, Mission Bay, and Golden Hills. Feel free to use our convenient search tools to find your Downtown Sd Real Estate.